Picture this: A guy comes in from out of town and opens a new fabrication company in the middle of the recession. Within months his fabricators are pumping out up to 10 kitchens per day – and he doesn’t even have a fabrication facility. Turns out, John Howard has made a bit of a career out of thinking outside the box. A native of Boston, he and his wife, Simara, traded the cold New England weather for balmy Central Florida when he accepted a position as project manager for a stone fabrication company that had just landed a contract to furnish countertops for a large condo project. There were three phases, and each phase had up to 480 units. The first time John visited the jobsite he was aghast. John’s “guys” were fabricators he knew from his earlier life in New England, who were now working for a Boston company that had opened two shops in Florida. Things were cruising along until the recession that pummeled Florida hit right at the end of the first phase of the condo project, effectively stopping the work in its tracks. John and Samara knew it was time to return to Boston. “We decided this time we would open our own business instead of working for someone else,” he says. Immediately upon his arrival in Boston, John began calling on kitchen dealers, contractors, designers and other contacts he had made while working for other fabricators in the area. “I went in and re-introduced myself to everyone and told them, ‘This is what I am doing now,’” he says. Want to know more? At Moraware, we make software for countertop fabricators. CounterGo is countertop drawing, layout, and estimating software. JobTracker is scheduling software that helps you eliminate the time you waste looking for job folders. 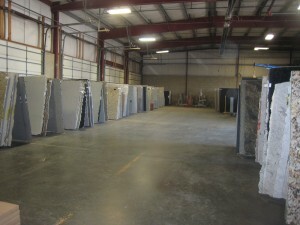 RemnantSwap is a free place to buy and sell granite remnants with fabricators near you. I would like to express my appreciation to the team at National Stone. I just had my counter top installed last Saturday morning. The two gentlemen who installed the counter were very professional, neat and obviously took pride in their work. They were prompt, worked efficiently and cleaned up when the job completed. I want to thank them for a job well done. These guy just left my home. Alex and his partner were early. They were both very friendly, polite and answered any questions I had with out making me feel like I was a bother! They were efficient and very clean! I would absolutely recommend them to anyone!! Thanks for a job well done guys! !